Solution for 100 Doors Classic Escape Level 96 97 98 99 100 Walkthrough how to solve the puzzle numbers on each room in order to open the door for each level. Figure out the logic for the way out to escape from the 100 doors classic ! This entry was posted in 100 doors classic escape on May 8, 2015 by 100doorssolution. Solutions for 100 Doors Classic Escape Level 91 92 93 94 95 Walkthrough how to solve the puzzle numbers on each room in order to open the door for each level. Figure out the logic for the way out to escape from the 100 doors classic ! Cheat for 100 Doors Classic Escape Level 86 87 88 89 90 Walkthrough how to solve the puzzle numbers on each room in order to open the door for each level. Figure out the logic for the way out to escape from the 100 doors classic ! Cheats for 100 Doors Classic Escape Level 81 82 83 84 85 Walkthrough how to solve the puzzle numbers on each room in order to open the door for each level. Figure out the logic for the way out to escape from the 100 doors classic ! Answer for 100 Doors Classic Escape Level 76 77 78 79 80 Walkthrough how to solve the puzzle numbers on each room in order to open the door for each level. Figure out the logic for the way out to escape from the 100 doors classic ! Answers for 100 Doors Classic Escape Level 71 72 73 74 75 Walkthrough how to solve the puzzle numbers on each room in order to open the door for each level. Figure out the logic for the way out to escape from the 100 doors classic ! This entry was posted in 100 doors classic escape on May 6, 2015 by 100doorssolution. 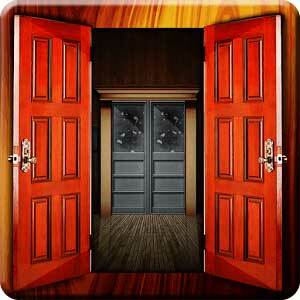 Cheat for 100 Doors Classic Escape Level 66 67 68 69 70 Walkthrough how to solve the puzzle numbers on each room in order to open the door for each level. Figure out the logic for the way out to escape from the 100 doors classic ! find the missing numbers ? This entry was posted in 100 doors classic escape on April 20, 2015 by 100doorssolution. Cheats for 100 Doors Classic Escape Level 61 62 63 64 65 Walkthrough how to solve the puzzle numbers on each room in order to open the door for each level. Figure out the logic for the way out to escape from the 100 doors classic ! AC D = A+C=D = 1+3=4. This is the clue to solve the rest. 2(3)+5(5) = 6+25 = 31, difference of 4. 5(3)+2(5) = 15+10 = 25, difference of 9. 2(3)^2-3(5) = 18-15 = 3, difference of 12. 8 5 7 4 ? ?